Incredibly, there is an estimated 21 million adults in the country have difficulty with their vision that cannot be corrected with glasses or contact lenses. Over 100,000 Maryland residents are disabled because of vision loss. The vast majority of these injuries are not due to medical malpractice. But, still, there are too many eye injuries from mistakes that doctors should not make. This page discusses some of the different scenarios where a physician's error might cause blindness. Some infants are at risk for retinopathy of prematurity (ROP). If a child is under a certain weight, many say less than 2.75 pounds they should be screened for the risk of ROP. The screening is not overly intrusive. It verifies that the blood vessels in the retina are growing toward the front which is the path to normal vision. But abnormal growth can lead to a retinal detachment which can cause and permanent blindness. This is avoidable with early screening and treatment. The interior of the eye is filled with a gel-like substance called vitreous. This substance helps the eye maintain its round shape. As we age, the vitreous shrinks and starts to pull away from the eye. This is generally not a big deal for most of us. 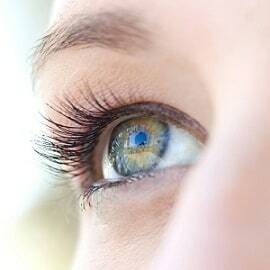 But sometimes the vitreous fibers that are attached to the retina will pull so hard on it they create the risk of a detached retina which can jeopardize your vision. Too many people go to the eye doctor on an assembly line for their yearly checkup, and the doctor drives right by this grave threat to the patient's vision. Increased intracranial pressure is caused by a rise in pressure in the brain's cerebrospinal fluid or from increased pressure generated from within the brain itself. Left undiagnosed, this can cause a host of problems including blindness, neurological problems, and death. What can happen is a patient shows up to a primary care doctor or the emergency room with symptoms that should cause a reasonably prudent physician to rule out intracranial pressure with an MRI or CT scan. Of course, the symptoms of this problem overlap with many other ailments. So doctors miss telltale signs of a potentially catastrophic problem. 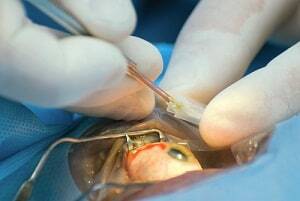 Cataract surgery is the leading cause of medical negligence lawsuits against ophthalmologists. These claims often involve a capsular tear with a retained lens fragment. This may or may not be due to negligence. Usually, the problem with these capsular tears is not the tear itself, which can be managed with what is called a pars plana vitrectomy. 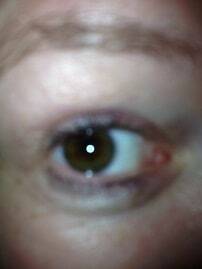 Instead, it is whether the tear is properly identified and dealt with after it occurs. It may not be that this procedure needs to be performed immediately, but failed to come up with a plan for removing retained lens fragments is a cause of malpractice claims. Another frequent source of litigation in these claims is the lack of informed consent. Doctors do 3 million of these procedures a year, and some of them simply go on auto-pilot when it comes to anything but the assembly line of operating on the patients. So too often, particularly with older patients, doctors do not lay out the options for the surgery and instead decide to "do what they think is best." Another problem with these surgeries is improperly placed or too much anesthesia which can cause vision loss and blindness. Of course, these are just a few of the common medical mistake claims that lead to verdicts and settlements in blindness and other vision loss medical negligence cases. Our law firm handles medical negligence cases involving death or serious injury. If you or a loved one have sustained a serious injury as a result of an error or mistake by a health care provider, call at 800-553-8082 or get a free online consultation.